“I feel like I have to explain myself,” Erika Hidalgo, a junior studying sociology criminology, said. As more and more Latinx everyday have begun to identify and connect with their African heritage, being Afro-Latinx is becoming an identity within the Latino community. 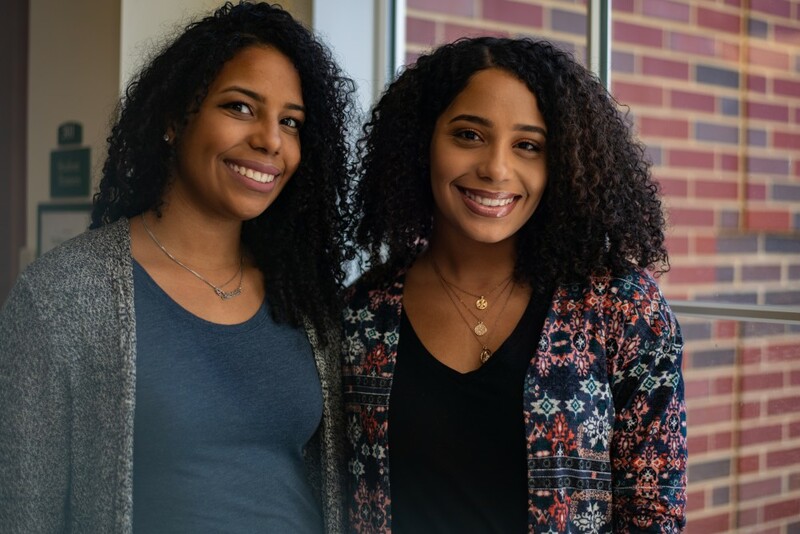 Afro-Latinx make up a quarter of U.S. Hispanics, according to the Pew Research Center. “Growing up Afro-Latino, people didn’t really embrace it that much, because when I would see TV or telenovelas I would see like the lighter tones Latinos, and if there were darker skinned Latinos there would only be like one,” Erika said. Michelle Hidalgo, Erika’s sister and a junior studying psychology and Spanish, has had a similar experience with the representation in media. Ohio University junior and psychology major Michelle Hidalgo poses for a portrait in Baker University Center on January 30, 2019. “Growing up I can't say I ever had a favorite actress that shared my culture or that looked like me! When I found out about Zoe Saldana I was so happy because representation matters! When your idols don't look like you it's easy to feel more of a minority then you already are,” Michelle said in an email. Media representation has never been perfect when it comes to being diverse and inclusive, but representation within Latinx media and history is just as discriminatory. The majority of Telenovelas will only cast light-skinned Latinx and cast darker-skinned Latinx as the help or extras. The subject of colorism doesn’t just exist inside the African-American community, but within most minority communities. The lighter your skin, the prettier, the smarter, the more desirable you are to the world. Inside the Latinx community, it is very common to hear an older person deny any relation to African or even indigenous ancestry. 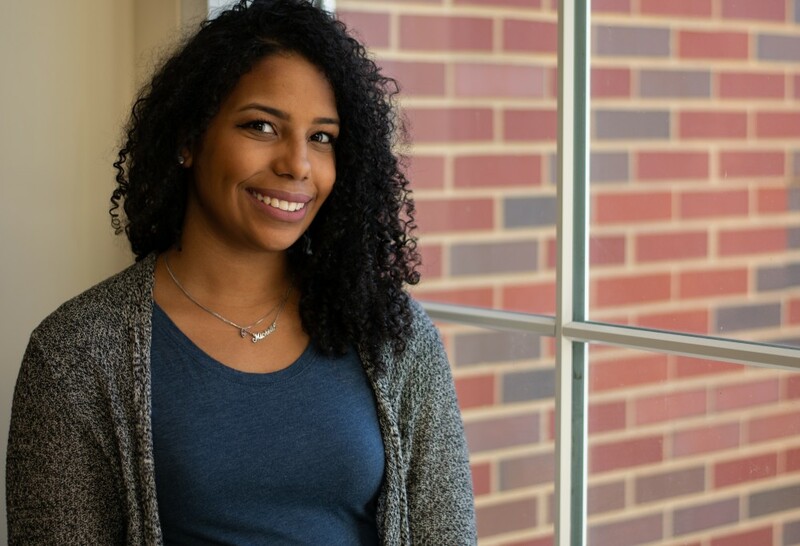 “(People) would often refer to me as "La Negrita" under their breath and most often speak to me in English as if I didn't understand Spanish,” Michelle Hidalgo said in an email. The subtle microaggressions that happen in Latin culture have brought a lot of advocates of Afro-Latinidad or Latin identity, to bring attention to artists and influencers who claim Afro-Latinidad without actually claiming any of the discrimination and racism Afro-Latinx face in United States and in their own cultures. Both Erika and Michelle have faced the repercussions of colorism in their own family. Ohio University junior and sociology-criminology major Erika Hidalgo poses for a portrait in Baker Center on January 30, 2019. “I remember constantly being told by a family member not to bring a dark skin man home and was advised to marry a white American man, they would refer to it as "advancing the race". Being an afro-latino, they would deny their African ancestry and highlight only their European heritage.” Michelle said in an email. Michelle believes that colorism dates back to slavery in the New World. The lighter the skin tones of the indigenous peoples and people who were enslaved, the higher you could advance in the class ladder. “I would always straighten my hair because I don’t know, curly hair was just seen as like unruly or like messy, but now, especially on social media, there’s a lot of curly hair pages and it just makes me want to embrace my curly hair and embrace that side,” Erika said. Afro-Latinx have to affirm their identity every day to their co-workers, peers and community. Their identity, like that of Black Americans, gets erased from history and whitewashed. People like José Celso Barbosa, one of the first Puerto-Ricans of African descent to obtain a medical degree, Gwen Ifill, the Panamanian and Barbadian who was the first black woman to host a nationwide televised public affairs program in the United States, and Sylvia del Villard, a Puerto Rican woman who started the Afro-Boricua El Coqui Theater, are all examples of figures in Afro-Latin history. 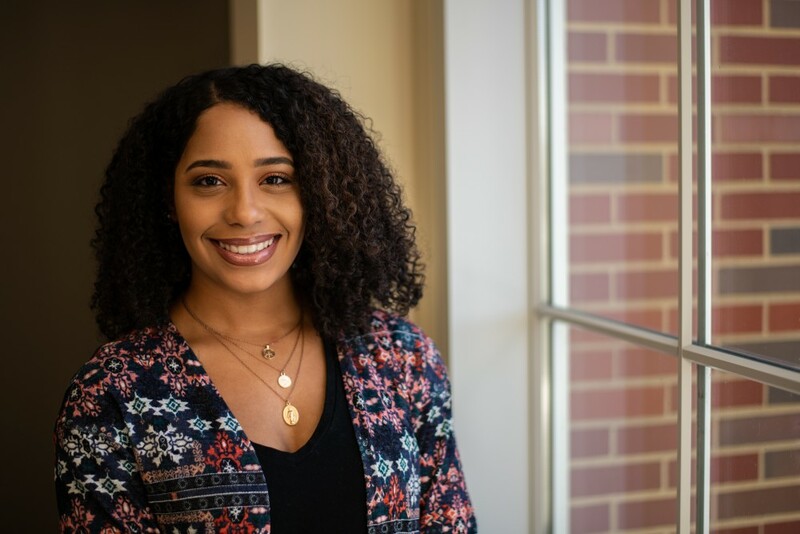 “Latinos can be supportive of Afro-Latinos by ending the colorism that continues in our community,” Latino Student Union President Briana Hernandez, a senior studying marketing, said in an email. LSU is planning to start a monthly newsletter to help uplift the voice of the Latinx and Afro-Latinx in Athens and to continue to celebrate all latinos and their shared culture. The U.S. Census Bureau’s still classifies Hispanic identity as an ethnic origin, not a race. However, two-thirds of Latinos, 67 percent, say their Hispanic background is a part of their racial background, according to Pew Research Center. “I am proud to be an Afro-latina!” Michelle said at the end of her email.